Eggplants are an amazingly versatile vegetable, and when it comes to their place in the kitchen, there are just so many options! And because we love adding a modern twist to the classics, we decided to give it a try with the beloved eggplant. If you love Greek moussaka, wait until you try this! 1. Preheat the oven to 350°F. 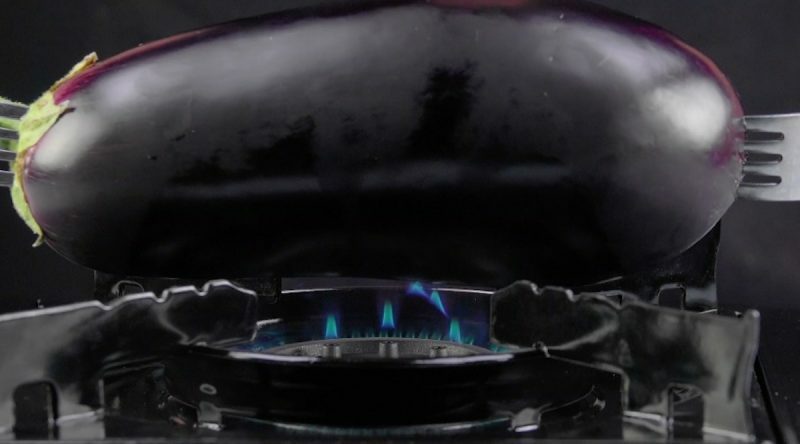 Stick a fork in each end of the eggplant and roast both sides over an open flame. Repeat with the other two eggplants. Place all three roasted eggplants in a casserole dish, cover with plastic wrap, and let sit for 5-10 minutes. This will allow the eggplants to sweat so that the skin is easier to peel off later. 2. 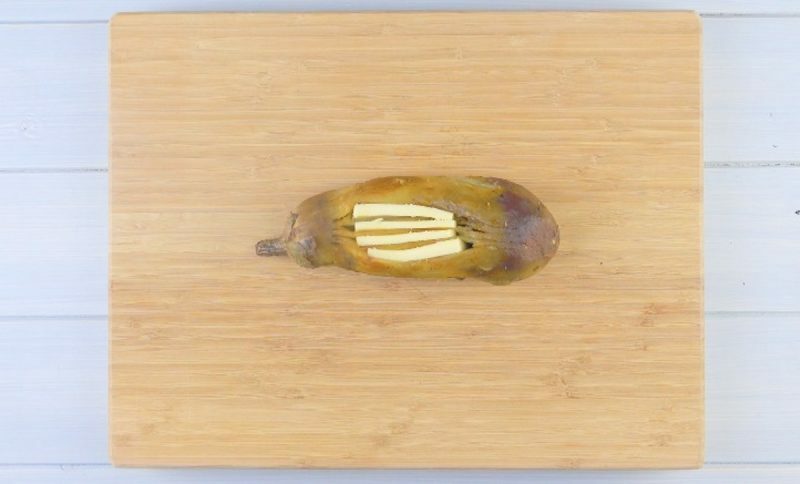 After you peel off the outer skin, use a fork to make three slits in the middle of the eggplant and fill these slots with the mozzarella slices. 3. Mix the ground beef, eggs, parsley, salt, and pepper in a bowl. 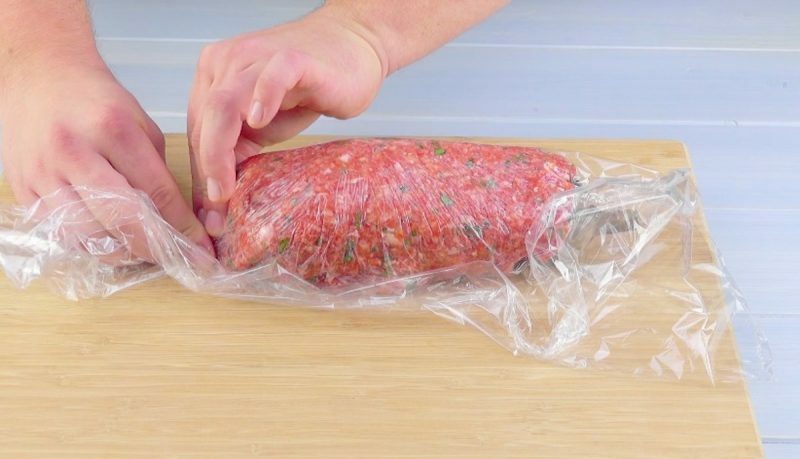 Lay out a piece of plastic wrap on a cutting board and spread ⅓ of the ground beef mixture in a ½-inch thick layer over the surface. Repeat this two more times so there is a meat layer for each eggplant. Then place each eggplant on a ground beef layer and use the plastic wrap to help roll the eggplant up in the meat. 4. Finally, pour the tomato sauce in a casserole dish, add the three rolled eggplants, and sprinkle cheese on top. Bake for about 20 minutes. Can a dish ever have enough cheese? Not likely! 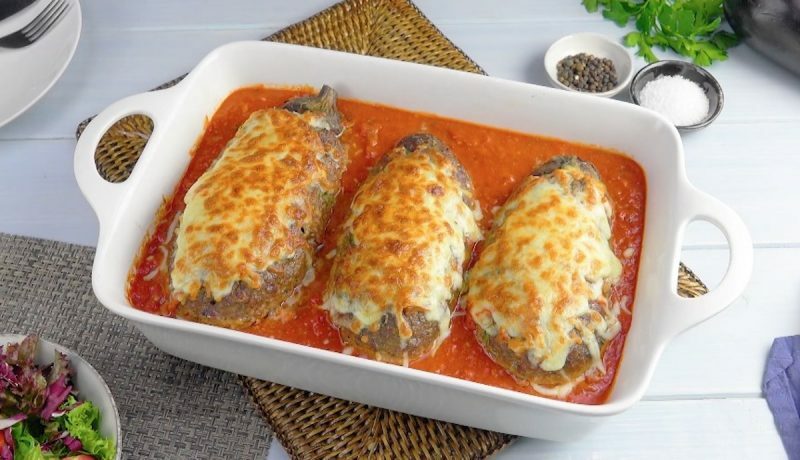 But this combination of ground beef, eggplant, cheese, and tomato sauce is wonderfully flavorful and comes quite close. What are you waiting for?! You can find the recipe for the Meat & Potato Bake featured in the bonus video here.